Human Resource is always considered to be an invaluable asset in an organization. And every management equally nods to the point that, it is the employee’s diligence that strengthens the roots of the company and bears the fruit of success. But at times, the company fail in rewarding the employee contribution or say managing the employee benefit which directly affects the company’s goodwill and future prosperity. The reasons behind this s can be like, the absence of an inefficient management tool to cater towards employee needs, or the lack of sufficient funds to address the employee benefits or even mishaps like mistrust among employees over their efficiency and capability. But these issues can be easily sorted or resolved if the company goes for right tactics. Say, with the implementation of a human resource management system, the company can greatly resolve the hurdle that comes in the path of human resource management. A human resource management tool to a great extent can effectively address the major HR challenges in an organization –be it the management of employee performance, employee payroll, employee benefits, employee engagement or more. Right from employee recruiting to employee resignation, the HR tools meticulously work on addressing the hurdles and later managing the same in the most efficient and intuitive manner. The HR tools remain robust throughout the management of employee life cycle and assure with seamless management of the employee concerns. No matter how big or small the company is, every organization has certain obligations towards its employees, both long term and short term employees. Every company should take adequate steps and special interest in rewarding their employer a token of appreciation and gratitude for the immense contribution and grateful service they have showcased. The employee should feel the sense of warmth that they are rewarded from the heart. One such obligation from an organization side is the full and final settlement of employees. The full and final settlement of employees come into picture when an employee gears to resign from his/her service. As a responsible employer, it is the duty of the HR Manager or the top management officials to take care of this procedure when an employee retires from his administration. The full and final settlement of employees incorporates the unpaid pay for the number of days for which the worker has worked for since his resignation date and his last working day. Unpaid pay including yearly advantages, for example, LTA ( leave travel allowances) and arrears which are determined as the number of days for which compensation is to be paid multiplied by the gross pay isolated by 26 (paid days in a month). According to section (11) of Factories Act 1948 all unpaid leave contribution ought to be paid by or before the seventh and tenth of the next month of resignation. Installment for non-profited leaves (earned or benefit leave), which is determined as the number of long periods of non-benefited leaves increased by essential pay separated by 26 days (paid days in a month). According to section 7 (3) of the PG Act 1972 Gratuity out to be offered inside 30 days of the separation or else it should be paid with intrigue if four years and 240 days have been finished by the worker. Deductions incorporate Profession Tax, Provident Reserve, Income Tax and Pay for Notice Period not served. Gratuity and earned leave are excluded from tax deducted at source (TDS) according to Income Tax Act. Every single other installment pulls in TDS under Segment 192 of the Income Tax Act. According to Segment 72 (5) of the E.P.F Act 1952, the Business will forward the E.P.F guarantee forms inside 5 Days of the representative presenting the case. When does the full and final settlement occur? Going entirely by the guidelines, the full and final settlement needs to occur on an employee's last working day at the association. However clearance takes time and in such cases, inside 30-45 days after the worker's last working day. For gratuity, the stipulation is 30 days in the wake of leaving the organization, while rewards must be paid inside the predefined bookkeeping year. 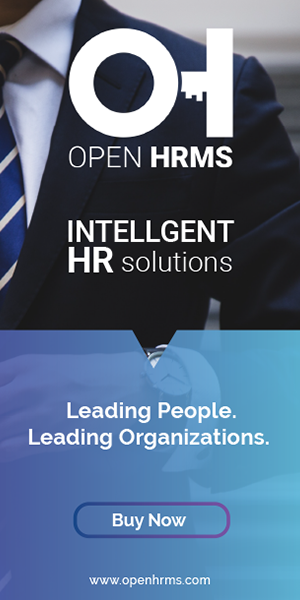 The complete human resource management tool, the Open HRMS encompass gratuity settlement module helping the business organization in large with seamless management of employee settlements. Under the open HRMS Gratuity module, the HR manager can easily create gratuity settlements for the employees during their resignation from administrations or service. One can easily underscore the settlement process via clicking a few buttons. From resignation request to salary, validation is carried in simpler format here. Here, the end user is provisioned to add the salary amount in the absence of Payslip. Under the “Dearness Allowance” field, one can add additional allowances set for the employee if any. Gratuity settlement is one essential element of full and final employee settlement. There many contributory elements that go in into this process and it is the responsibility of the organization to conduct the proceedings in the most transparent and efficient manner.